The sanctity of Easter…how do you approach and honor this holy time of year? Now you can spend 40 days with Jesus—from leading up to His death on Good Friday, to celebrating His resurrection on Easter Sunday—and draw into worship and praise as never before. 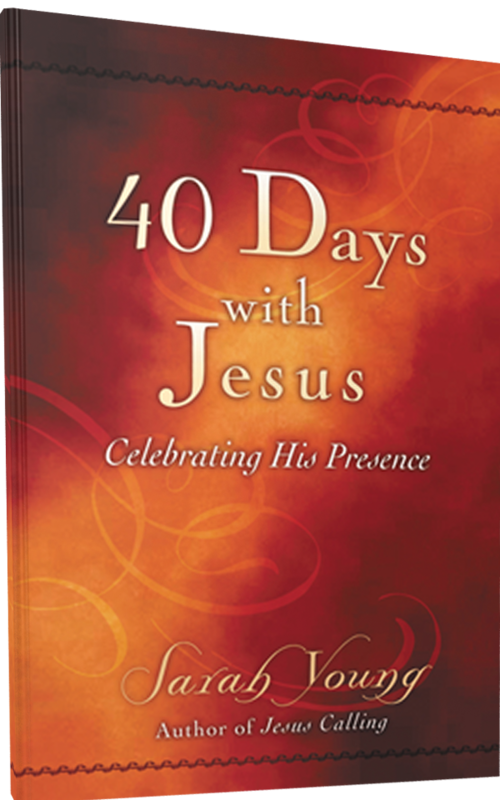 Select devotionals from Sarah Young’s bestselling Jesus Calling are compiled into this gift book to create an experience of closeness with the Savior during the Lenten season. Honor the Easter season for 40 days with our Redeemer. I love this 40 day devotional! [It] is small enough to carry everywhere; in your purse, at the dr. office, to work, etc. [The passages are] short enough to read on your break at work or standing in a long line at the grocery store.